Applications related to Aerospace business. At high altitude, liquid oxygen (LOX) gives pilots the breathing air they need. 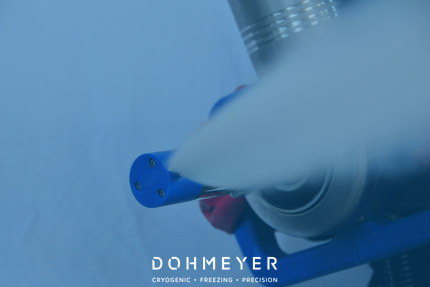 Dohmeyer builds filling stations for aviation’s breathing oxygen containers (MIL-O-27210C) and the corresponding super insulated vacuum pipelines for liquid oxygen transport. Catering companies supply the airline industry with quality fresh and frozen food. 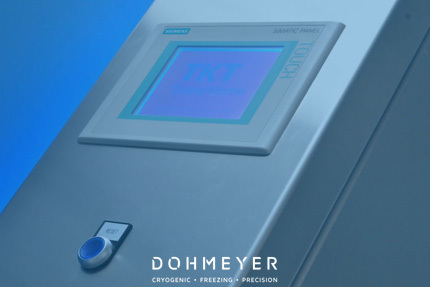 To ensure the integrity of the logistics’ cold chain, they have to use considerable amounts of CO2 dry ice. 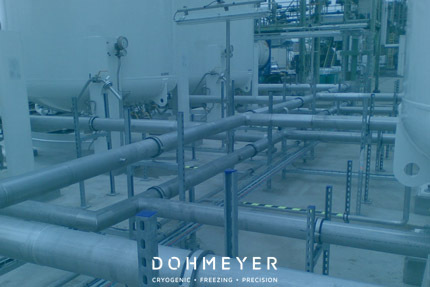 Dohmeyer designs and installs vacuum insulated pipelines that supply liquid CO2 to the necessary dry ice pelletizers. Making in situ dry ice pellets. Super insulation for transport pipes of liquefied gases. Fixed filling station for TKT insulated containers. Automatic filling of O2 dewars model MIL-O-27210C.